When do they start to ask the hard questions? Normally when I sit down to write a blog post I have a starting point perfectly worked out in my head. A stat, a document, some figures, an article I’ve read… something. Today I have nothing but a feeling. 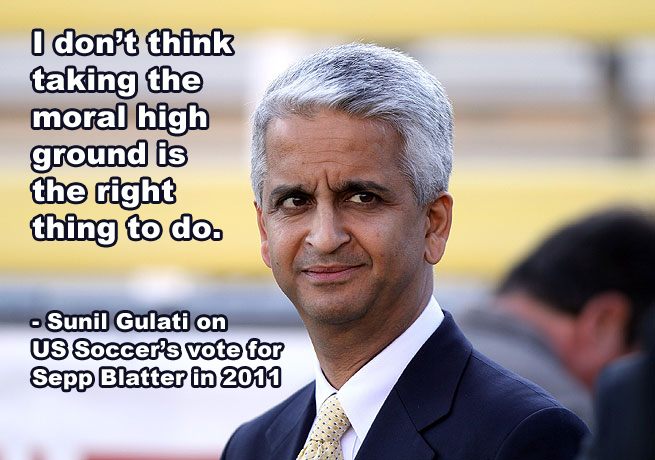 The feeling that the soccer press in the US is failing the fans of the sport in this country. I say this not to point an accusatory finger at any person in particular, any publication in general, or even broadly at the entirety of the media business. Just to say that at some point soccer in the US needs a media that is more than cheerleaders of the sport, reporters of game results, and prognosticators of future National Team lineups. We need a media that digs deep and finds out the “Why” behind all of the business dealings in the sport. The “Who” is behind those reasons. The “How” did these people make the decisions happen. 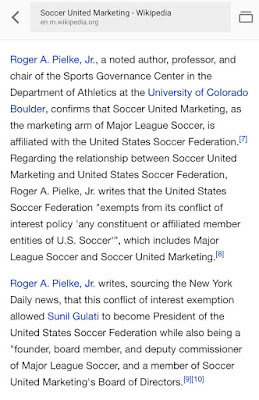 After my recent post about SUM valuation compared to MLS team worth a screen capture of the Soccer United Marketing Wikipedia page has started to float around Twitter. Why has this series of relationships and manipulation of policy by USSF not been a much larger story concerning the business of soccer in the United States? If this was going on at FIFA it would be the largest sports story in the world and would have reporters digging in to every relationship and business dealing by every board member of the Ex-Co. Why is this level of scrutiny not levied at USSF Board of Directors members and top level employees as well? 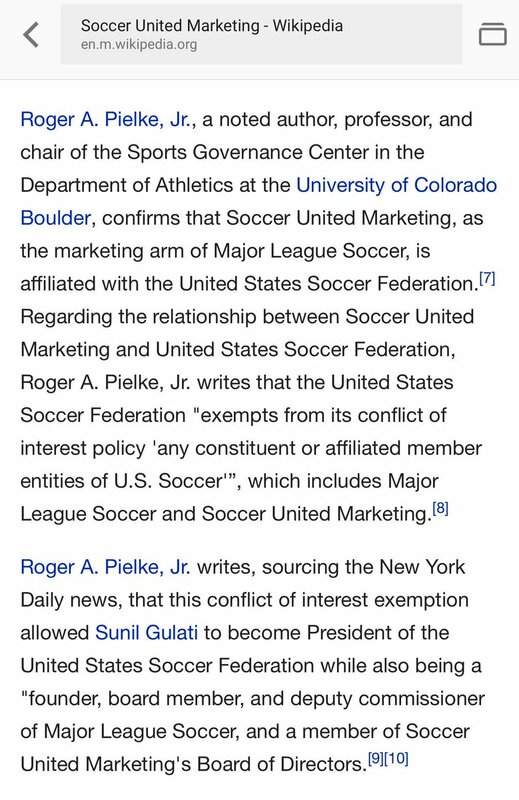 What is it going to take before the effects of this collusive relationship by MLS/USSF are explored and we find out if it is actually having the negative ramifications on clubs outside of MLS that many USSF reformists think that it is? CONCACAF was allowed free reign outside of media scrutiny on their multi million dollar deals right here in our backyard for decades and it gave us Chuck Blazer. How long is our free press going to allow all of these USSF and MLS business dealings to remain cloaked in secrecy?